‘Discretion, quality, and unsurpassed craftsmanship.’ Bottega Veneta has established a new standard of luxury since its founding in Vicenza in 1966. Steeped in the traditions of Italy’s master leather craftsmen and renowned for its extraordinary leather goods, Bottega Veneta stands for individuality and self-confidence, a philosophy expressed in its famous motto: ‘When your own initials are enough.’ The principles that define the brand are unchanging: outstanding craftsmanship, innovative design, contemporary functionality, and the very highest quality materials. Also constant is Bottega Veneta’s commitment to its ateliers, where artisans of remarkable skill combine traditional mastery with breathtaking innovation. There is an unusual and inspired collaboration between artisan and designer at the heart of Bottega Veneta’s approach to luxury, a partnership perfectly symbolised by the house’s signature intrecciato woven leather. 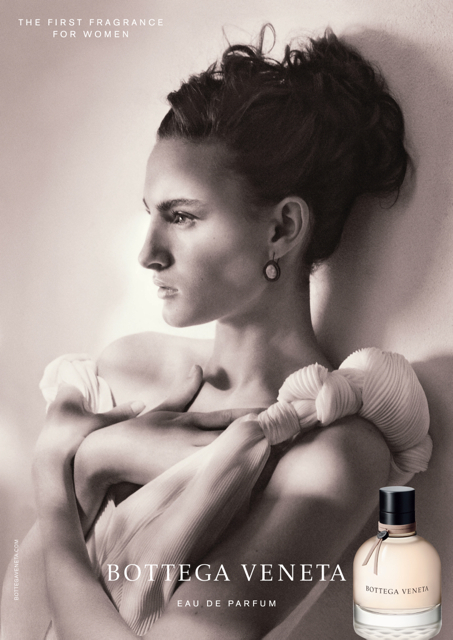 We defy you not to want to smell the leathery floral Chypre through which perfumer Michel Almairac brings that picture to life. The’face’ chosen for the campaign, meanwhile, was the then-unknown 17-year-old Nine d’Urso. The daughter of French fashion icon Inès de la Fressange and Italian businessman and art dealer Luigi d’Urso, she reveals the virtues of her upbringing while radiating an elegance and individuality that is completely modern and wholly her own. Combining soft, rounded curves and powerful shapes, a smooth outside and an intrecciato texture on the bottom, the Bottega Veneta bottle is a truly beautiful, sensual object. The colors are signature Bottega Veneta: a brunito (bronze) cap and collar, an ebano (black) logo, and a skin-coloured leather ribbon clipped with a brunito butterfly. The bottle itself, inspired by Venetian glasswork and the traditional Italian carafe, designed with an eye for timeless lines. 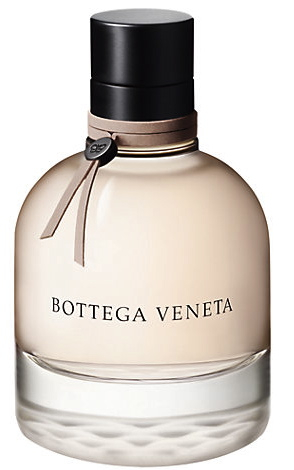 The original Bottega Veneta fragrance has been reinterpreted several times – each as sure-footed as the next. 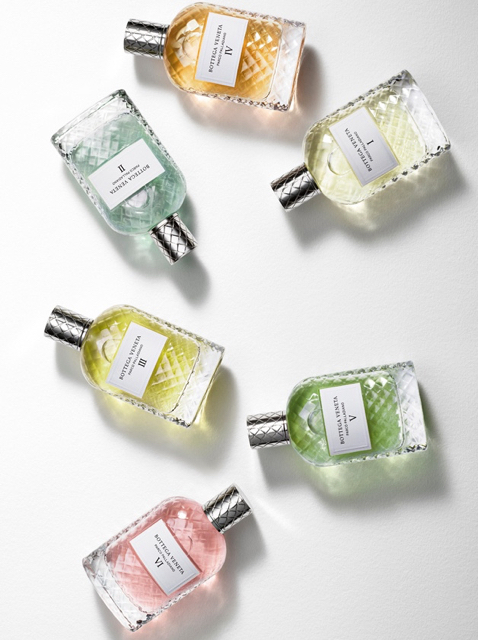 In Bottega Veneta Eau Légère, perfumer Michel Almairac plays up the freshest, brightest facets of Bottega Veneta. His aim was to achieve a gentle freshness, ‘while preserving the soul of the Bottega Veneta original.’ He describes the act of creating this new scent as ‘like passing the original through a waterfall’. 2016 saw the exciting unveiling of the Bottega Veneta Parco Palladiano collection, meanwhile: six luxe Cologne-style fragrances inspired by the renowned Palladian gardens of the Veneto region, inland from Venice itself. All utterly shareable (and all utterly sublime), they are airily and ethereally beautiful, showcasing elements including azalea, mint, magnolia, cypress and chestnut. We wholeheartedly recommend a journey to a Bottega Veneta boutique (or in London, Harrods Salon de Parfums), to sniff them for yourself.